St Valentines flowers to Russia, Ukraine, CIS. 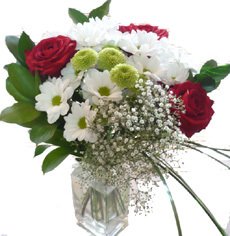 Here you may shop flowers arranged in a bouquet, basket or vase with artificial or natural packing, fabrics and accessories. 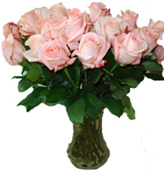 By ordering flowers with ASAP florists you may check the delivery status online with your e-mail and password. We accept main credit cards (visa, master etc) - security of your transactions is guaranteed. Here you may shop for: gifts with balloons, teddy bears, fruits, boxes of chocolates, boxes of candies, sweet baskets, sweets with teddy bears heart shaped balloons. A large basket of spring flowers contains: 30 tulips and 30 irises, solidago, ghypsophillas, greenery. 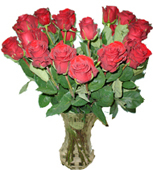 An extraordinary bouquet of 3 dutch roses with greenery on the fine floral work, decorated with hearts and ribbons. A delicate stylish bouquet in lilac and pink colours. An exclusive combination of pink gerneras, lilac chrysanthemum, irises and delicate greenery in natural wrapping. An arrangement with exotic strelitsia, red gerberas, scarlet roses, altromerias, chrysanthemum, exotic greenery. 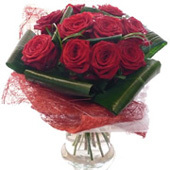 Soft large flower arrangement contains: 31 tulips, 14 irises with greenery in the natural wrapping.